Online shopping isn’t a new thing in town, but there are still many those who consider buying offline convenient & safe. Whether it’s about receiving a fake product, online fraud or warranty related issues, people still have these horrors of Online shopping in mind. Most of them don’t know that all these horrors can easily be eliminated by being sensible while purchasing anything online. Buy hey, you don’t need to worry about that, because I have got you covered. In this article, I am covering everything that you need to take care while shopping online, alongside save some bucks as well. And hopefully will help in making you a sensible online shopper. Buy from trusted & renowned websites/portals only. You see a product online at an irresistible price & fall in the trap of buying it, but never received that product. These kind of traps from shady websites are not a new thing. These websites put products on sale at a very discounted price to lure prospective buyers & get their money. Sometimes they’ll send you a fake product & sometimes, nothing. That’s why it’s advised to shop from trusted & renowned websites, which guarantee buyer’s protection & is trusted by many. 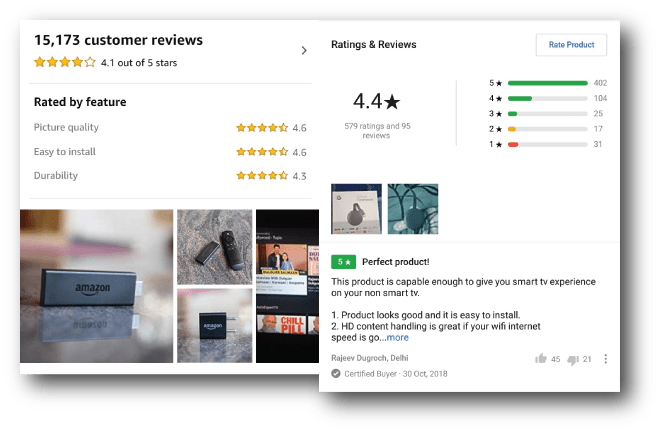 Do some maths on product review & ratings. Ratings & Reviews are an integral part of online shopping, since you really can’t judge a product just by looking at its picture. A good-looking product can be as useless as appendix in a human body. Look for the number of positive reviews over the negative, check out a couple of detailed reviews by ‘Genuine buyers‘ to make a sound purchase decision. 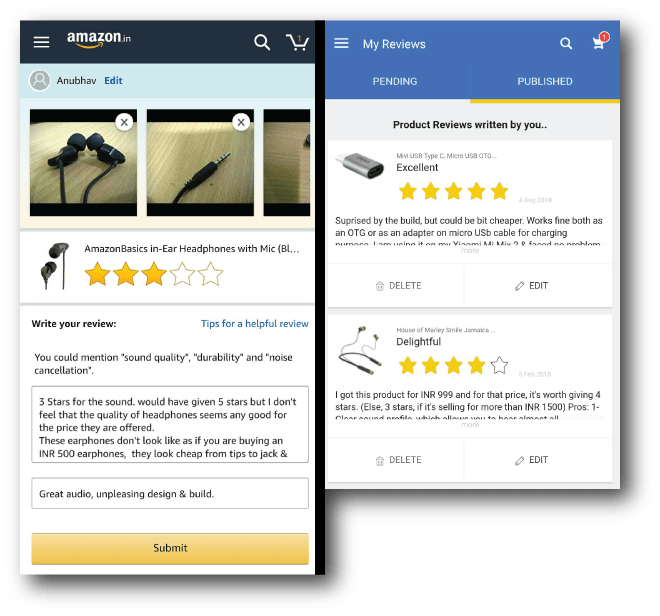 Seller ratings are as important as products ratings. Many e-commerce websites are just a platform for sellers (businesses) to sell their products directly to consumers. Each seller can have a different approach to sell same product, some might go with shady ways by selling fake or sub-standard products & cheat their buyers. You can avoid buying from such sellers to save yourself from receiving a fake products. 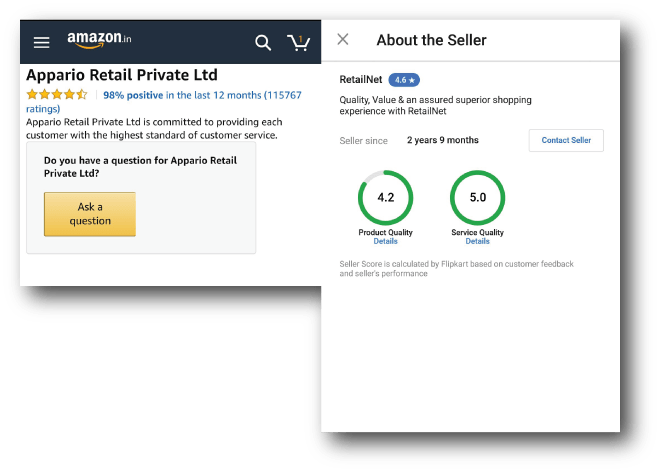 Particularly from new sellers selling products at a significantly discounted price, in comparison with the other sellers. Every e-commerce has a category for certification of sellers. Certified sellers have to maintain a particular standard, whether in terms of buyer protection or selling quality products. This ensures a great buying experience, no/minimum delivery charges & zero chances of fraud, as it’s the liability of seller to maintain quality as per standards by the respective platform. Buy in bundles & get out of shipping charges trap. Accept it, no one wants to pay shipping charges on their online orders. Yet sometimes we can’t avoid them & ended up paying shipping charges twice on two different products. You can however avoid these shipping charges by adding multiple products in cart until the billing amount reaches the limit. Premium subscription also helps in avoiding shipping charges completely. You can always save more, if you keep a watch on the products that you want to buy. 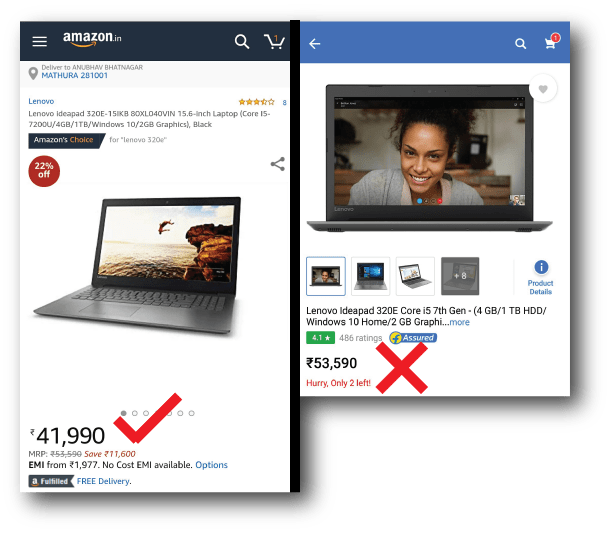 Sometimes product price fluctuate a lot & if you keep an eye on these fluctuations, you can actually save significantly on your online purchases. Amazon do provide information regarding price fluctuation of the products in your cart (or in ‘Saved for later‘ list). Frequent shopper? Get premium subscriptions & save. 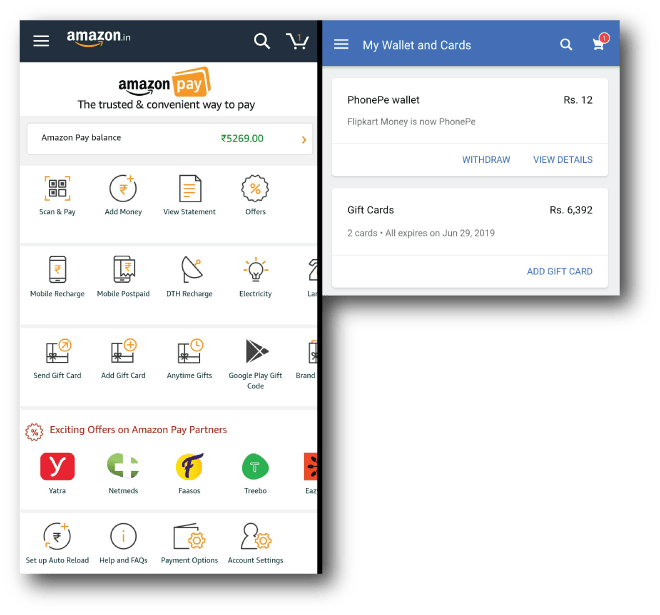 Many E-commerce platforms have introduced their premium subscriptions to give an added benefit for regular online shoppers. 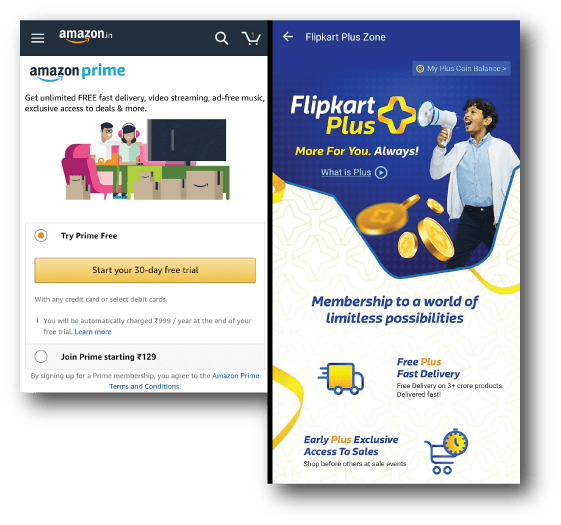 This subscription will let subscribers to get faster deliveries without any shipping cost, access to premium deals during sales & sometimes exclusive discounts from affiliate partners. For example, Amazon’s Prime subscription, which not only gives you the above mentioned benefit, but also gives you access to Prime media services which includes movies, shows & music. These services can save you a lot in long run. Festive season deals can save you a lot of money. Festive season deals can save you a lot of money on a variety of products. Keep an eye of products that you want to purchase & buy them during festive sales, you’ll definitely save a lot on some products. In general, Electronic item were available at hefty discounts during this period. Just because you are buying online, doesn’t mean you have to compromise on this very aspect of a wise shopper. Whenever you do online shopping, make sure you do a price comparison with other online shopping websites & at offline stores/market. Sometimes, you might get sweet deal, on the other platforms (offline as well) over your favourite shopping website. Check for offers on various payment options. These days, you can pay via number of payment options for your online purchases. 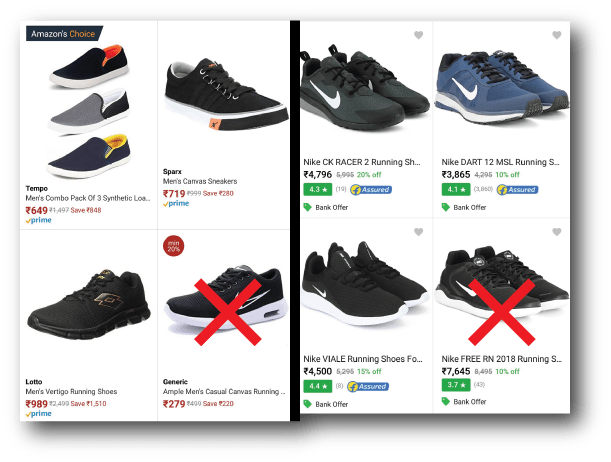 These e-commerce giants do offers discounts, cashbacks or other incentives, if you pay via the payment option with offers. Usually you can see offers like, if you pay using Debit/Credit card of certain Bank, you can get discount on your final amount or cashback, if you use the other payment option. You can also club various offers, to get a mega discounts on your purchases. (Suppose you will get 5% cashback on paying via gift card & purchasing gift card will get you 10% discount, you can simply buy gift card & use it as payment to additional discounts) These kind of discounts are mentioned specifically on the product pages. Always order from your own device/account. I have seen lots of people ordering for themselves from their friend’s device or accounts, which is not a good practice. If you are someone who does that, then stop it. It’s not only about the security concerns, but also for the offers that you might receive when you order products from your own account. Last year, I purchased a pair of headphone during the sale & I was given a Cafe Coffee Day coupon as compliment on my e-mail associated with that account. If I have ordered the same from my friend’s account, he/she would be the one getting the benefit of complimentary gift. Afraid of online fraud? Go COD. 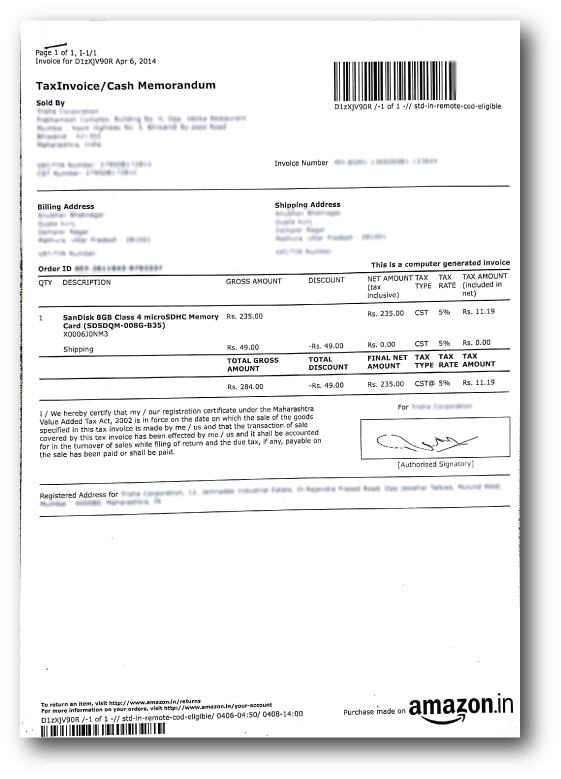 Cash on Delivery (or COD) is a service that was initially implemented for those who don’t have online payment options, this helped such buyers to pay at the time of delivery via cash to the delivery agent. People those who are afraid of online frauds can also use COD as payment, but do not that in case of refunds, you’ll have to provide your bank details to get the amount back. Also, COD payments generally have no offers & you might have to pay a small amount as delivery charges on some of the orders. You might have come across various stories running around internet saying I’ve got a brick inside the packages instead of the products. And I can confirm that it happens. A friend of mine got magazines inside the packaging instead of the phone he ordered. It took sometime to convince the seller & get a refund on that delivery fraud. However, you can save yourself from all this mess, by opening the package in front of the delivery guy on camera & submit that as a proof, that you were a victim on delivery fraud & get your money back easily. It’s a general habit that we discard packaging as soon as we got the product unboxed. And if you are someone who does that, then you better change it. Open your package carefully & try to keep it intact until the replacement/return period is over. When you shop online, you do get invoices (bills) either on your email or on the order page of your online shopping website. And it’s quite evident, that you can access these invoices anytime you want. Yet it’s good if you do keep a hard copy of those invoices. 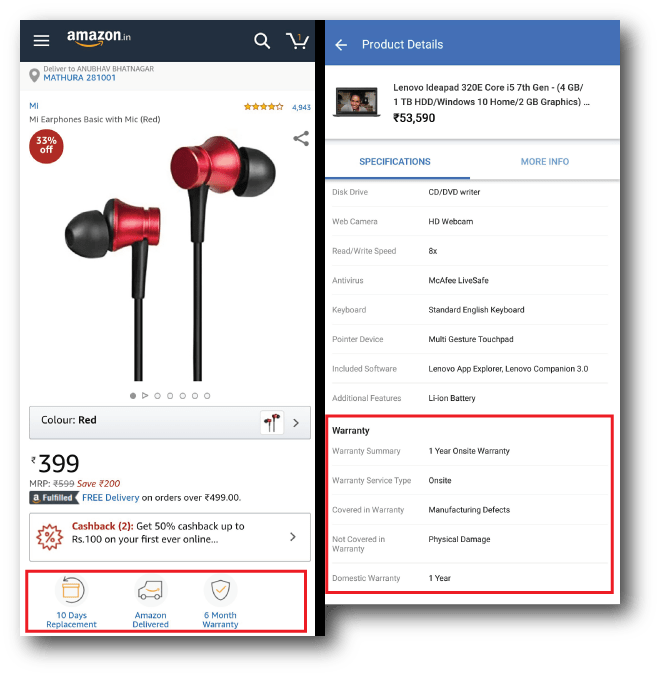 Hard copies make sense as they help in keeping a record of all your online purchases on various platforms, so you don’t have to look further in case you need one someday. Try product between return/replacement period. Sometimes we buy the product & don’t use it immediately, because we want to use it on special occasion(s). However, this is not a right practice to follow for the products purchased online. Online products have limited return/replacement period & if your product is faulty, you can’t ask for returns/replacement for the same. Now that you have done shopping & got your product in your hands. I am sure, you have already made an opinion about it. Then why not share that opinion as a product review on the product website. Most of us, just buy the product but never give ratings or a brief review. Rating/reviewing your purchase will help the potential buyers to make a sound decision about the product. Go through returns/replacement & warranty policies. E-commerce platforms have different return or replacement policies for different types of items. For example, you can replace a Fashion product on Flipkart within 30 days of purchase, while for electronic items, it’s just 10 days. Same goes for warranty policies, every product has a different warranty policy. Some requires you to visit nearest service centre, while some provide on-site warranty. And you should be aware of this before purchasing the product. Re-pack your product, if you want to replace it. It’s okay, if you are not satisfied with the purchase you’ve made. So you asked for a phone replacement, but continue to use that phone till the pickup date & unfortunately, that phone slipped & you broke its display. In that case, you are not liable for any replacement. You can avoid this situation by not using that product after your replacement request is approved. I hope this guide could help you in eliminating the fear that is prevailing since a long time. Knowing that online shopping isn’t just convenient & time-saving, but can also save you a lot of money, since it directly eliminated the middlemen’s commission that directly increases the price of product you want to buy offline. 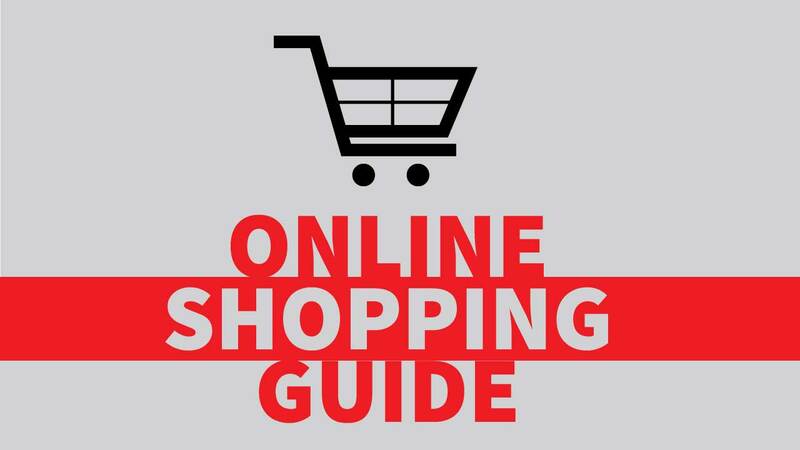 Do you have any online shopping tip? Do share it via a comment. Good day & happy shopping. Previous article15 Cool GBoard Tricks that you should know!